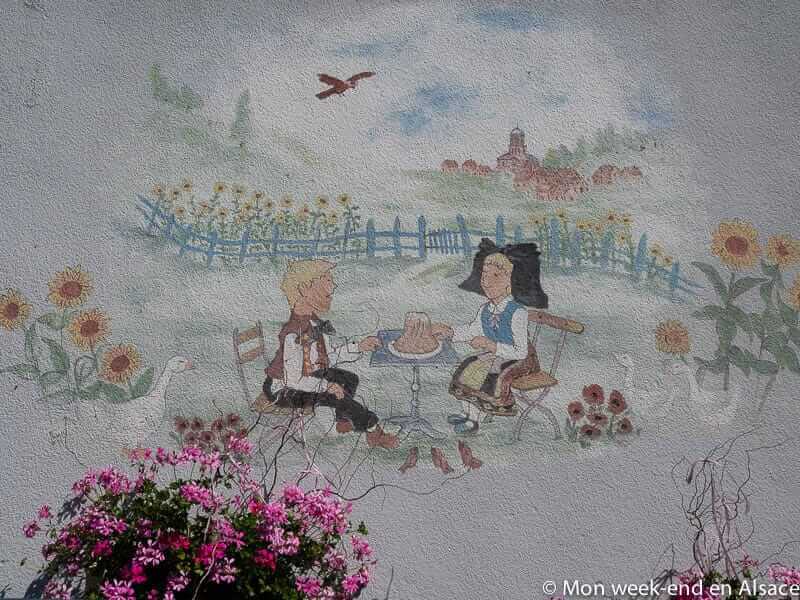 Neuf-Brisach is a small town in Alsace, located in the East of Colmar, very close to the Rhine and the German border. 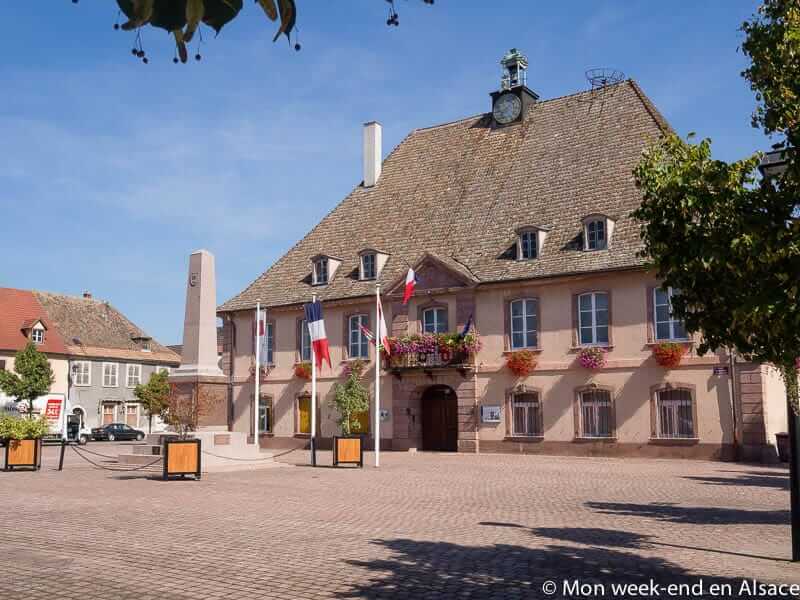 Neuf-Brisach is known for its fortifications, built in the 17th century by the famous Vauban and the reason why the town is listed as UNESCO World Heritage site. I must say that my impression of the town is somewhat mixed. 1697 marked the end of the War of the League of Augsburg, with a treaty. 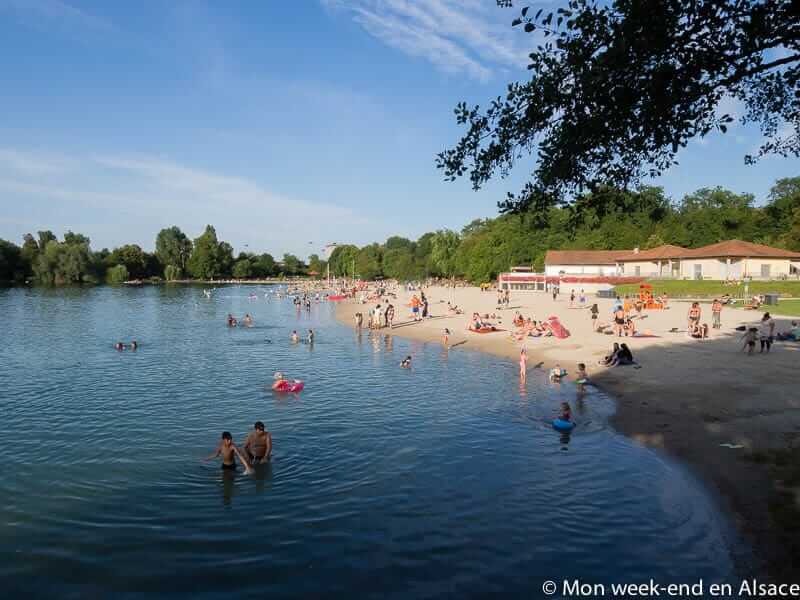 To this end, France lost the stronghold of Brisach on the German shore of the Rhine. For that reason, Lous XIV decided to have built a new stronghold right in front, to prevent invasions. 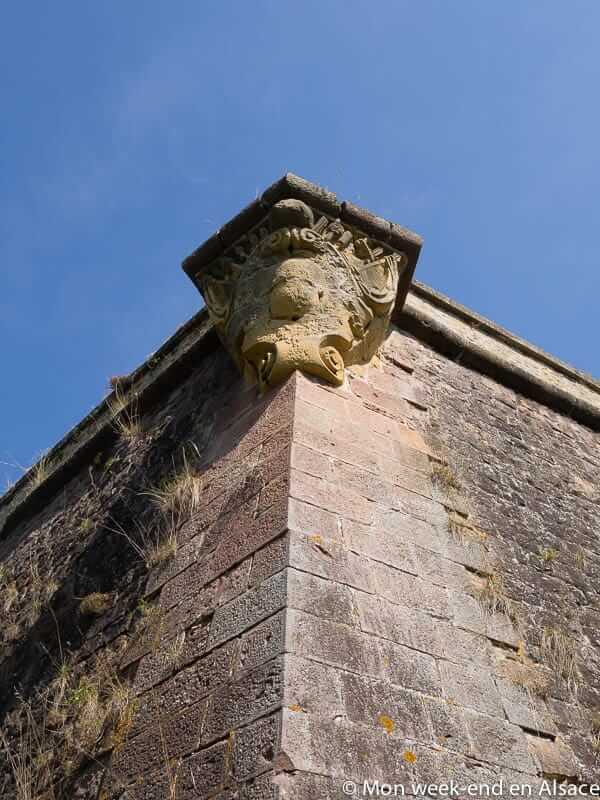 He chose an octogonal plan and construction started in 1698. Everything was built in pink sandstone, as for many edifices in the area. 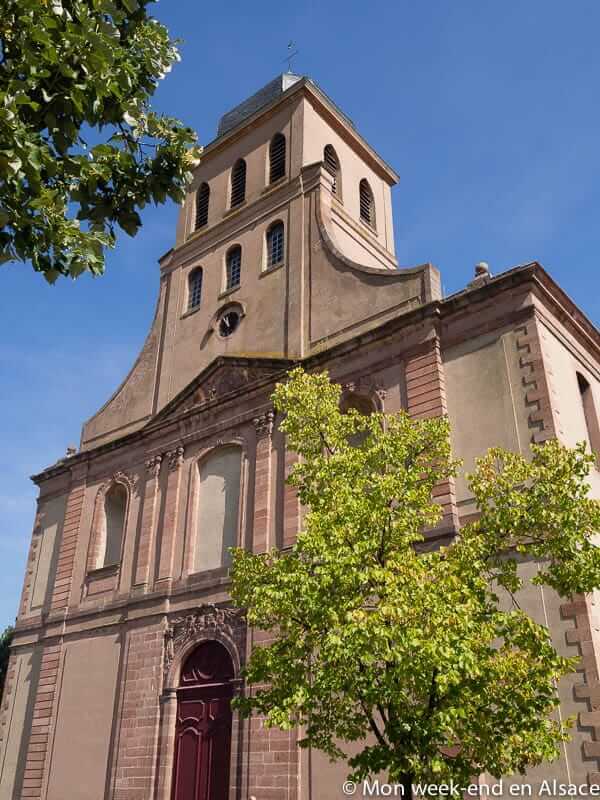 The fortifications were completed in 1702, the church Saint-Louis in 1736 and the townhall in 1758. Apart from an alert in 1743, the citadel of Neuf-Brisach never played a role in the European or local history. Besieged for the first time in 1870, partly destroyed by the bombings, it would then be rebuilt. 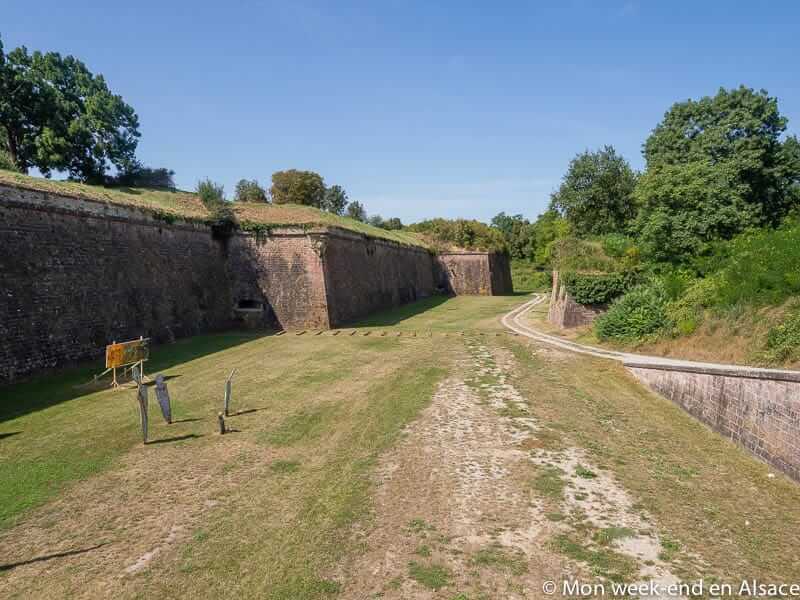 As it became a German stronghold, its plans were largely modified in 1875, but, because of its fortifications, the town would never really expand. WWII bombings wreaked havoc, but the town would be rebuilt, once again. The garrison was closed in 1992. Fortification-wise, the town is undoubtedly impressive. 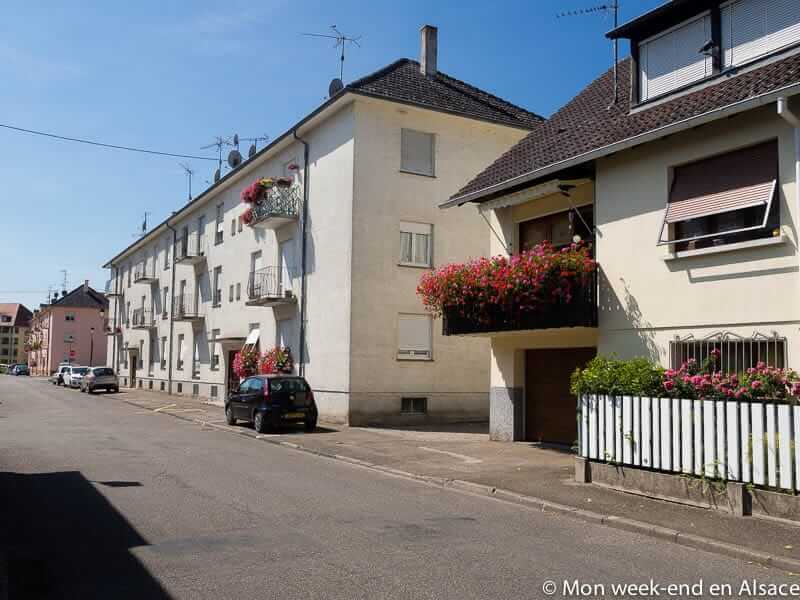 It is the last fortified town built by Vauban, and it’s therefore possible to see, in Neuf-Brisach, a very accomplished model of the defense system he had imagined. 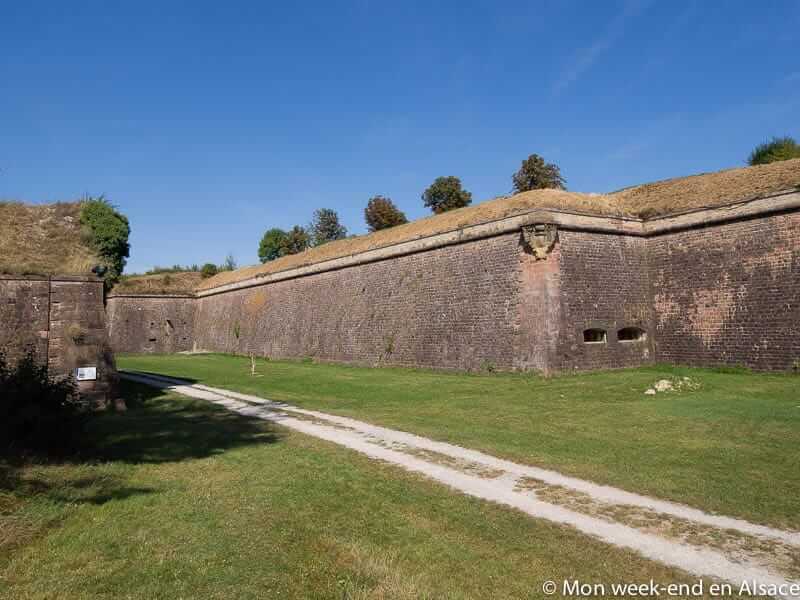 If you have never seen Vauban fortifications or if you are passionate about fortifications, visiting Neuf-Brisach and going on the walls should be interesting. 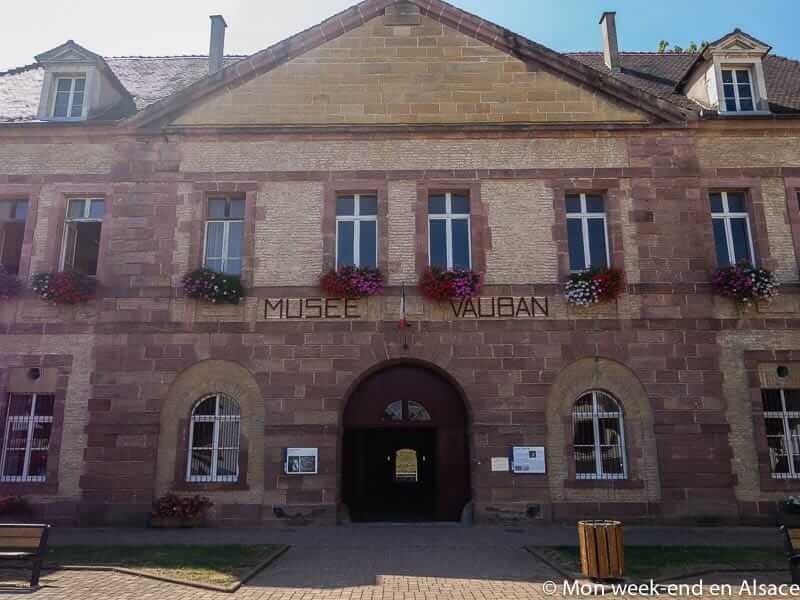 You can even go further and visit the Vauban Museum located in town. 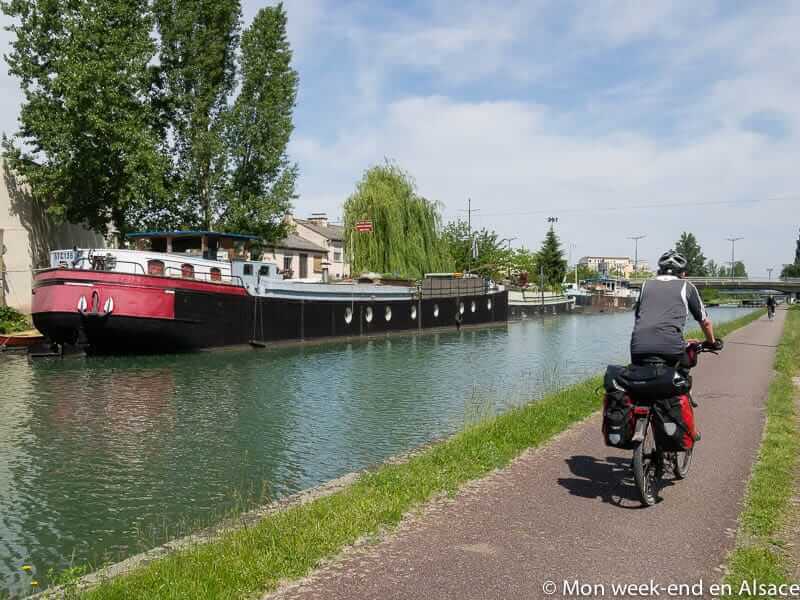 Don’t forget either to have a look at the Vauban Canal. However, the best way to see Neuf-Brisach is from… the sky! 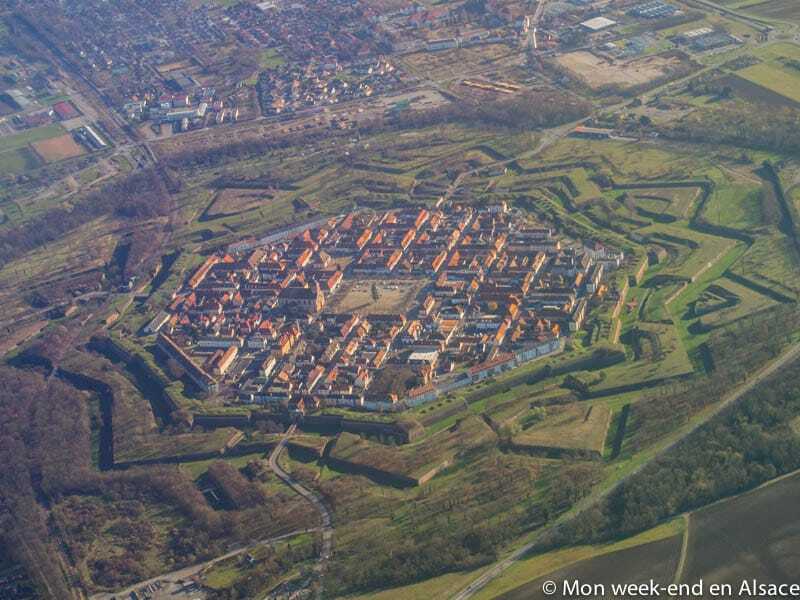 Only an aerial view of the town allows to really realize the scope and ingenious organisation of Vauban fortifications. 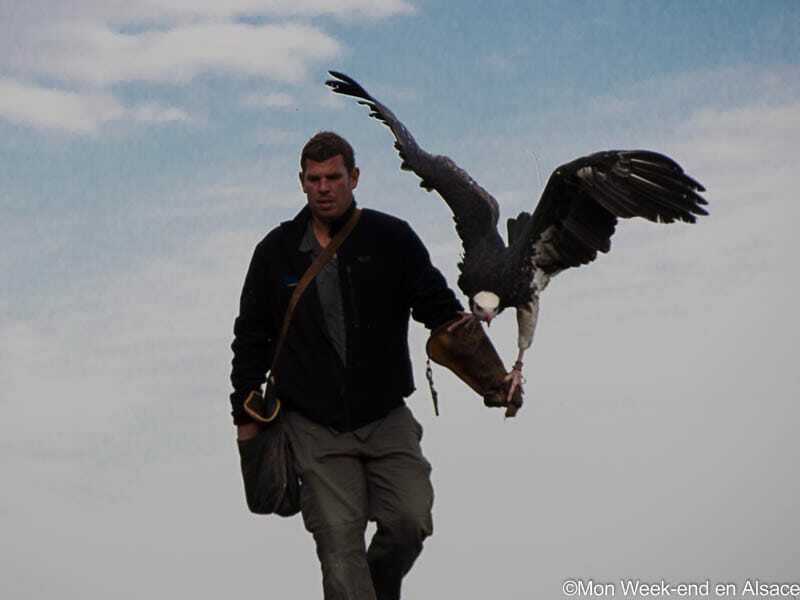 I had the opportunity to see them during an Ultralight flight, and I really recommend it! As for the town in itself, I was really disappointed. 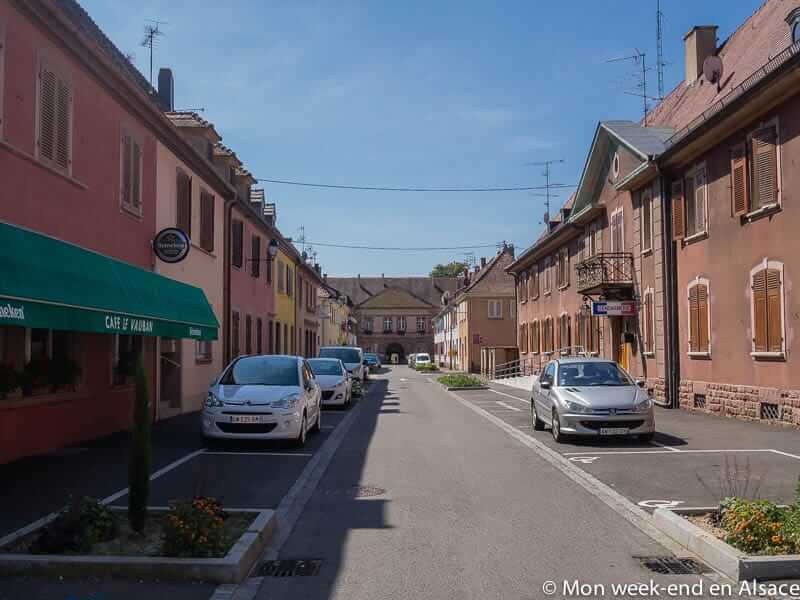 Neuf-Brisach, with its wide and straight streets, has not a lot of charm and even feels a bit like a ghost town… There are a few shops, but there isn’t much liveliness. However, you can admire beautiful buildings during a stroll around town: you can follow the historic track, starting from the Place d’Armes Général de Gaulle and going around the town through the ramparts and various religious sites, noting on your way the royal fountain and all the architectural details that can be found in Vauban citadels, such as the moats or bastioned towers. Good news! 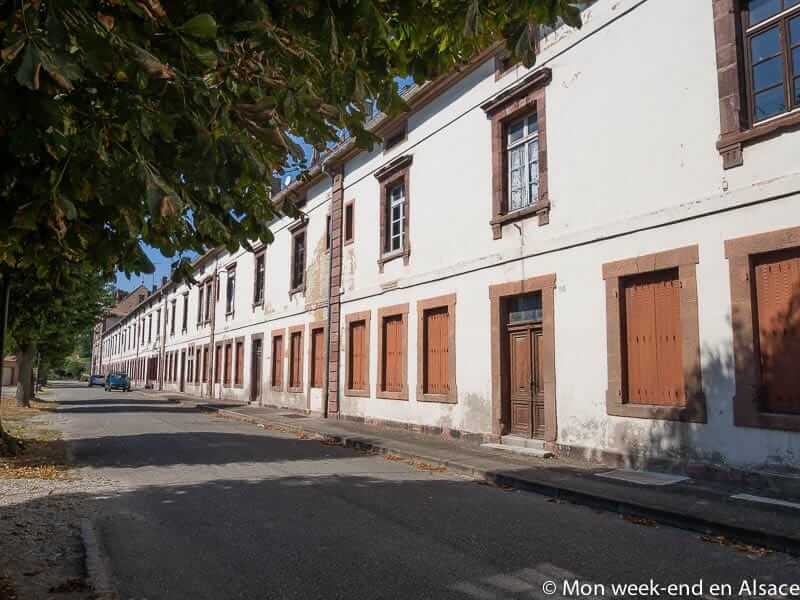 A Musée d’art urbain et de street art (MAUSA)(museum of urban art and street art) – the second one in France – has been opened on the Vauban fortifications! It’s a great idea to bring life back to town and to give it a boost. Let’s see how it goes! 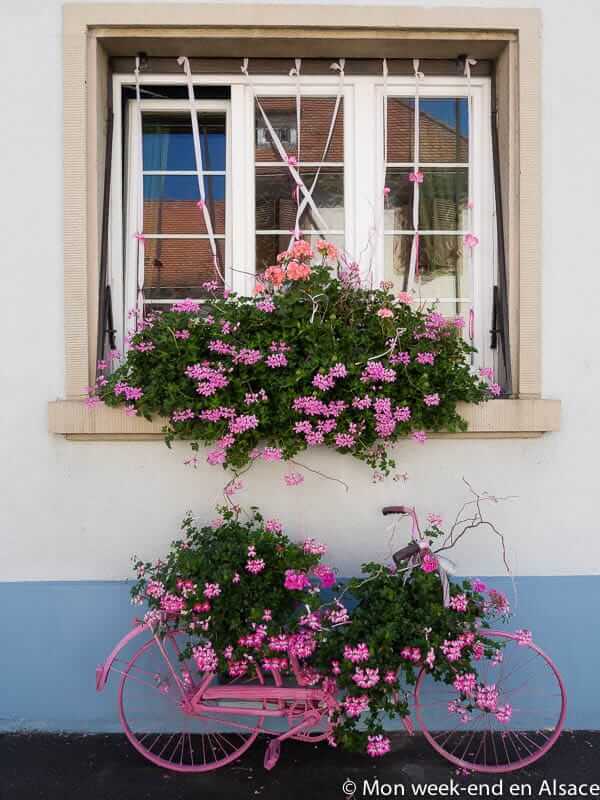 You can have a look on Vialsace.